You’re invited to join New Britain Democrats in the effort to register voters and get out the vote in New Britain — just 63 Days To Go Til November 8th….. 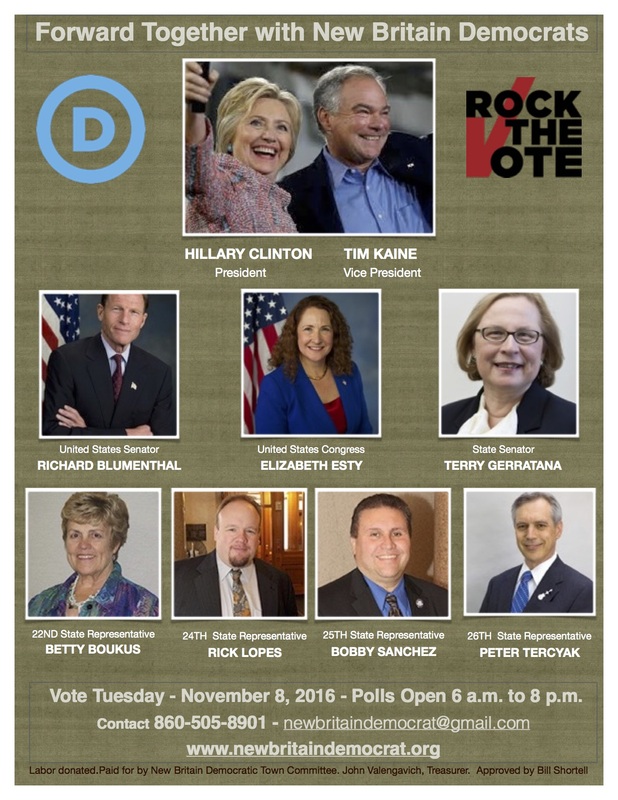 This entry was posted in Announcements, Election Day, Rock The Vote and tagged Election Day, New Britain Democrats. Bookmark the permalink.